So, the big question here is: Can I drink alcohol on the ketogenic diet? The most accurate answer is NO; you should not drink alcohol while you are following a ketogenic diet. Alcohol is a substance produced by the fermentation of sugar derived from fruits, wheat, and barley that affects the burning of body fat. The ketogenic diet helps you lose weight without losing muscle mass and provides you with the necessary energy to live, that is, your body becomes a fat-burning machine by using fat reserves as a source of energy in the form of ketones; this is called ketosis. It is a zero sugar diet, consequently zero alcohol. 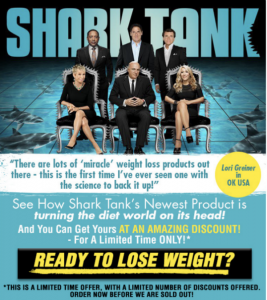 Therefore, after trying so hard to get into ketosis (the process of burning accumulated fat and the one we are consuming during the keto diet), a cup is enough to interrupt the metabolic situation that is occurring within you. Also, under the influence of alcohol, you may lose control of your diet and forget to consume any type of food, even if it is not compatible with the ketogenic diet. The ketogenic diet is very high in fat, moderate in proteins and very low in carbs, used to lose weight quickly and safely. It is recommended for those who have a lot of weight and for those who want to define their muscles. It is also recommended for those people with diabetes, high blood sugar and to treat diseases such as epilepsy and some types of cancer. Do I get out of ketosis if I drink alcohol? There are several factors that you need to consider before drinking alcohol during a diet to lose weight, whether or not it is ketogenic. The first thing will be to estimate the caloric value of these drinks; as a rule, each gram of an alcoholic drink has 7 calories, almost equal to the fats that contribute 9 calories for each gram. On the other hand, women are more likely to get out of ketosis than men, even if they have the same weight. I mean, yes, you will get out of ketosis if you drink an alcoholic beverage. Your body will try to metabolize the alcohol you are consuming; in this way, it will not metabolize other nutrients such as fats and proteins. Therefore, it will not burn fats and ketosis is interrupted; also, do not forget to add the amount of carbohydrates contained in the drink. That is if you drink a beverage that contains sugar or you drink a lot of alcohol you will get out of ketosis since the process of burning fat is interrupted. It is also important that you keep in mind that being in ketosis any alcoholic drink will affect you, regardless of your tolerance to alcohol. After the body has discarded the ingested alcohol and you are no longer in ketosis, it may only take you one day, even hours to get back into it. However, there are people for whom this return is easy and fast, as well as for others it will be a slower process and it will take several days to recover the lost state. Start again the ketogenic diet, very dedicated to the process. The time of fasting will depend on each person, that is, until you get back into ketosis, but without neglecting your health. Alcohol is a substance that does not provide you with any nutrient but fills you with empty calories. However, we all know how hard it is not to take a single drink if you must attend a social gathering, a work lunch or an after office. Forget about all sweet drinks; for example, cocktails are totally forbidden, as well as wines (especially sweets), and of course, all the drinks that contain sugar (carbohydrate) in their preparation. Alternate each drink you consume with a glass of water; in addition, decrease the amount of alcohol you are drinking, thus avoiding dehydration. If possible, drink pure vodka, without flavorings, since those that have flavor also have sugar. Another option is high-quality whiskey. The higher the quality of the whiskey, the less sugar added. Drink gin in low quantities and avoid those that have flavors. Tequila, as well as the whiskey, must be of high quality and, of course, without flavorings. In the same way, you should be careful with what you add to your drink; remember that the only thing you can add is ice, soda or lemon. If you are a wine lover and you cannot give them up even if you are on a diet to lose weight, you must choose a dry wine that does not contain sugar or sweeteners, and you can only drink one glass. This is just a sample of what you can consume since opinions do not always coincide on what drinks are allowed during a ketogenic diet. In any case, some of the followers of this diet insist that you can drink, but in moderate amounts. Considering that alcohol disinhibits people, it is possible that you ignore your keto-diet and eat what you should not; then, in order to not alter your ketogenic diet, you have to be strong enough. Remember that it is better NOT to consume alcoholic drinks if you want to lose weight, because these drinks have many calories that do not provide you any nutrients. But, if you cannot avoid it, keep in mind the importance of moderate its consumption, regardless of the drink you choose. This will basically depend on your tolerance to alcoholic drinks. Most experts recommend one drink for women and two for men. This is because men tolerate alcohol intake a bit more than women. If you are one of those people that once they start drinking they cannot control themselves, it is better that you try to avoid it. On the other hand, if you want to lose weight, it is better not to drink any alcoholic drink, at least while you reach your nutritional goal. Also, if you have fatty liver whether or not alcohol consumption, you should avoid alcoholic drinks. Will the ketogenic diet help me stop drinking? Well, there are no scientific studies that support an affirmation about the positive influence of the ketogenic diet in those people who have given up their alcohol intake. However, there are many followers of this form of nutrition who claim that the ketogenic diet helped them control the craving for alcohol. These people comment their testimonies in different blogs showing how the ketogenic diet helped them to reduce sugar and alcohol cravings. The ketogenic diet has decreased the need for a drink on many people. Perhaps, this is possible because the ketogenic diet balances the fluctuations of blood sugar. 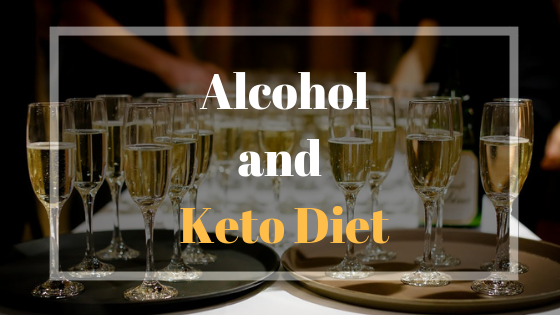 How does the Alcohol affect the ketogenic diet? Following a ketogenic diet is already quite complicated and hard, and dealing with social demands can make the process even more difficult. The consumption of alcohol is part of everyone’s social life; that is why you must have your priorities clear when you must overcome all the temptations that will appear as saboteurs of your program. Alcoholic drinks are one of those saboteurs; most of them contain large amounts of carbohydrates or they are rich in calories. In any case, if you are on a ketogenic diet you run the risk of getting out of ketosis, interrupting all the progress you have achieved. Therefore, it is better to abstain from drinking alcoholic beverages. If you cannot avoid it, consume moderately those that do not contain carbohydrates such as vodka, whiskey, gin, and tequila; although, they have many calories. 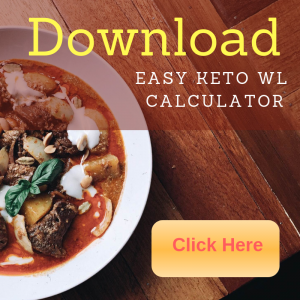 If you are interested in learning how to start your Keto Diet, you may found useful this article: How to start your Keto Diet?